To be reprinted. Available ETA 1 May 2019. This book is a softcover, but printed on high-quality glossy paper. The photograph reproduction is very good. Some older photographs have been improved, but the originals were of marginal quality. "The Heisler Locomotive, 1891-1941" is the definitive history of the Heisler Locomotive Works of Erie, Pennsylvania, and the interesting and capable machines they produced. The smallest of the three major manufacturers of geared locomotives (Heisler, Lima, and Climax), Heisler constructed over 600 geared steam locomotives, more than 30 fire-less steam locomotives, and a single diesel-electric locomotive during its 50 years of production. 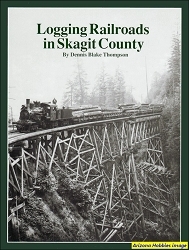 This revised and updated edition of the classic 1982 book originally published by Benjamin F. G. Kline, Jr. is a collaborative effort between the Friends of the Railroad Museum of Pennsylvania and The Garbely Publishing Company. The book's original detailed builder's list and owner's index have both been updated and revised, and over 200 original Black and White photographs from the Railroad Museum of Pennsylvania’' collection have been newly re-scanned and retouched for enhanced printing quality. Reproductions of original patent drawings and specification tables compliment the comprehensive text, which covers both Heisler's corporate history and the development of geared steam locomotive technology. 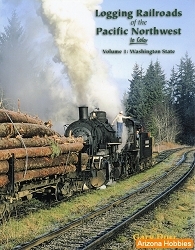 This extensively improved book is a must-have for both the avid historian and the casual railroad enthusiast. The Garbely Publishing Company, softcover, 200 pages, 8.5 x 11 x .5 in., Black and White photographs and illustrations.